Recently, Dr. Paula Kahumbu, a fierce wildlife conservationist and right-hand to legendary archaeologist Richard Leakey, wrote an article for All Africa where she stated different things Kenya's president Uhuru Kenyatta could do to turn things around for elephants. Many are the speculations about what can be done to solve the problem with poaching and wildlife trade, but - even when there are many ecologists and concerned citizens - it is only when world leaders and politicians take action that solutions can actually work. Kenyatta has filled his agenda over the last years with different conservation events, such as joining the pan-African Giants Club (that fights against wildlife trade), burning over 10 tons of ivory, or speaking up against poachers. "Poaching and the destruction of our environment has no future in this country. The responsibility to protect our environment belongs not just to the government but to each and every one of us" said Kenyatta in one occasion. Well, thanks to organizations, charities and social activism, "every one of us" is slowly realizing the crude reality African wildlife faces, and every day we are fighting a battle for our animal neighbors to survive. But we need the government first. We need its voice in the crowd, its solutions in the media, its actions taken in the field. Valuing wildlife as an element of pride can change minds. 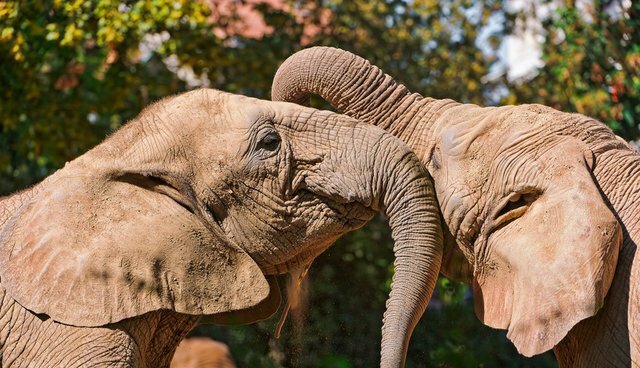 Raising budget for conservation, banning trophy exportation, and understanding that elephants are worth more alive than dead, can change actions. KWS's mission is crucial: to conserve, manage, and enhance Kenya's wildlife and its habitat. That's why it needs not only support, but also all the necessary resources to act effectively and engage the public in its conservation projects. If Kenyans can experience wildlife as many tourists often do, it is very possible they fall in love with the animals and want to help protect them. That's why national parks and reserves need to be more accessible to locals, and education programs need to be active and present around the country. Eliminating corruption in the government, in the police, in the Wildlife Service, and at national borders is essential to ensure an optimum work at protecting species and ensuring the law. As Uhuru Kenyatta himself said, it is necessary the government joins forces with the people. That's why all kinds of politicians, businessmen, police officers, clerks, officials, and public figures need to get involved to finish once for all wildlife crime. Our wildlife is our pride wherever we live. It's a global treasure that has been living with us from the very beginning, and it shouldn't die because of us. It is our duty to make up for our greed and destruction, and to ensure that majestic species like the elephant live for many years.